I was wondering if the Jaycar mixture display kit (Part Number KC5300) will function with a wideband O2 sensor? If not, can you please specify how exactly it hooks up and what is needed? This would be going into a 280Z and the car has no provisions for an 02 sensor from the factory. The meter requires an oxygen signal up to around 1V. 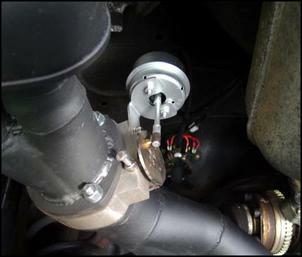 In your 280Z, the easiest approach is to install a conventional ‘narrow band’ sensor (which you can find at the wreckers) using a custom fitting that you create near the engine. If it’s a single wire sensor, all you need to do is connect it directly to the meter. If it’s a more complex sensor with internal heating, you’ll need to use a multi-meter to identify which wire is the 02 signal – it’s up to you whether you bother connecting the sensor to power and earth to enable the internal heating element. 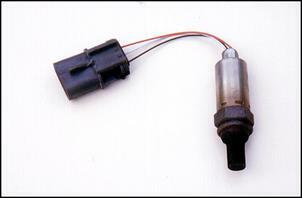 Of course, once the sensor is installed, you’ll need to avoid using any fuel that contains lead! The B4 was not a six-cylinder - it was (as I am sure you know) the twin-turbo EJ20. The car I think you might be referring to is the 3.0 R-B spec. I think you will also find this engine is used in the Tribeca as well. In the Japanese (and perhaps other) markets there were B4 RS30, B4 Blitzen 6 and B4 3-0R models with the Subaru EZ230 3-litre six. And, yes, it appears the new Tribeca gets it too! I was just reading the article about insulating the intake pipe Insulating the Return and I've noticed mine is stupidly hot (you featured my turbocharged Micra at 14 Second Micra!). I also saw the LCD temp display article LCD Temp Display!. I was just wondering if it is possible to get a few of those temp probes, stick them in a few useful positions and then use a switch to select which probe you want to display? Also, I’m looking at doing some insulation for my turbo manifold. You guys should do a review on the different sorts of thermal insulation available and show what works and what doesn’t - ie aluminium sheets, fibreglass wrap, ACL material http://www.aclperformance.com.au/prod_heatshield.htm, etc. Would be very useful! The problem in switching-in different sensors is sourcing the sensors themselves - without having to buy the complete units to get them. Interesting idea on an article covering the different types of insulation – we’ll look into it. I know you have to please the masses but there are a little too many articles covering XR6 turbos lately. Sure, they're the current cult performance car and offer great bang for buck but don't forget about the rest of us! Seems all we see these days are tricked-out LS1 powered cars and XR6 turbos! Like someone else mentioned, we need articles on torque converters and automatic transmissions. Personally, I'd also love it if you'd share your knowledge in preparing a car for occasional track work while still retaining streetability - most other resources just say to stiffen up the suspension, strip the interior and get some good brake pads. We value your input re XR6Ts and LS1s but our feature cars are largely steered by the sort of cars people are modifying (not so long ago there was an abundance of WRXs and Skylines). As always, if someone has something interesting and makes it available, we’ll cover it! Thanks for the other article suggestions – we’ll see what we can do! I’m chasing up an article on a guy who designed his own electronically controlled exhaust silencer. He was situated in eastern Australia from memory making them and selling them to the public. You had contact numbers of his on the article you wrote. I did get in contact with him about 10 months ago but it’s only just now that I need to buy one from him and I don’t have his details anymore! I have been doing searches on it through AutoSpeed but nothing comes up. I need to get in contact with him asap please. Re your Butterfly Effect article Butterfly Effect... I contacted Kevin Davis a few years back and bought one of his butterfly systems for my Nissan GTi-R. We configured it to run with the MoTeC on the car and it has been going fine ever since - the car produces 600hp at flywheel and the valve has a minimal effect on performance. I have just contacted him to get the newly upgraded valve after noting mention of it in your Response column. Thanks - keep up the good work.